The Devine Ex-Student/Teacher Association (DExSTA)is the local alumni organization for former students and teachers that attended or taught school in Devine. 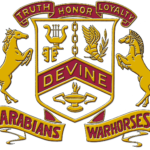 The mission of the association is three-fold: Preserving the Past of Devine schools through photos and memorabilia in the archives; Celebrating the Present by reuniting former classmates and teachers during their annual Homecoming festivities held each fall; and Promoting the Future through their scholarship program for graduating seniors at Devine High School. For more information about the organization and Homecoming activities, or to become a member, you can view the Facebook page – Devine Ex-Student/Teacher Association (DExSTA) or contact any DExSTA board member, including Nancy Ehlinger Saathoff (Class of ’75) at gnsaathoff@aol.com or 210-289-6205. “Make plans to join us for Devine Homecoming celebrations in 2019!